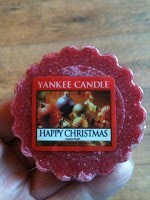 So because yesterday was Christmas, I thought it was fitting to try out my Yankee Candle Wax Tart in Happy Christmas. When I first opened the packet the scent hit me straight away and it smelled so good! 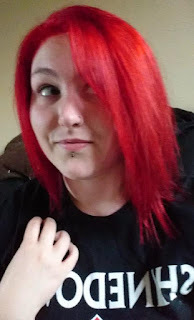 It smelled slightly like spiced apple and cinnamon. When we started burning it it melted very quickly and the room smelt gorgeous almost instantly! It's a great winter scent and I think it was perfect for Christmas day. I'm sure this candle was on sale on the Yankee Candle website so I definitely recommend it for winter! Also, it says the estimated burning time is 8 hours but in my house it's been burning WAY longer than that and it's still got loads left!